Cod fisheries around the US, and especially in the Gulf of Maine have reached catastrophic levels – only 3% of sustainable levels. No doubt that overfishing played a major role in this, but even after extremely strict regulations were set in place, the numbers still didn’t improve. Now, researchers have found that it’s the oceans warming that actually destroyed the cod populations. 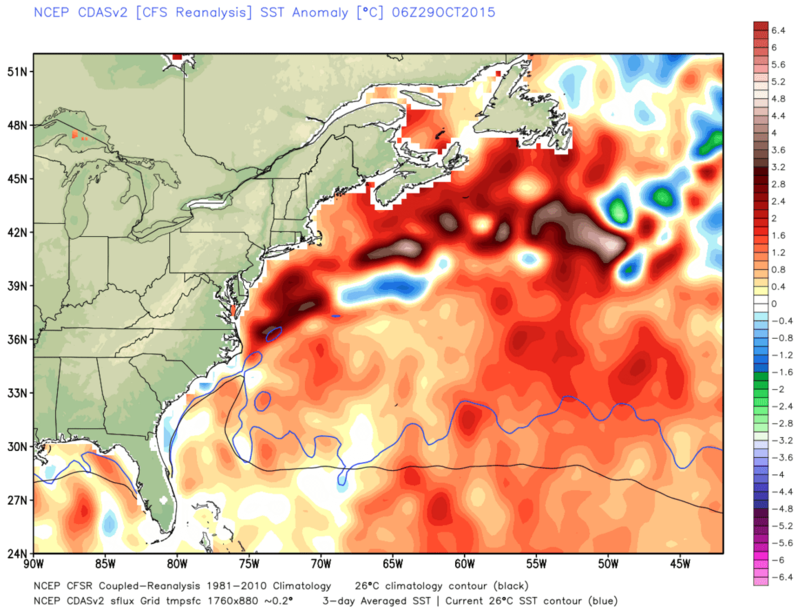 Look how warm the ocean is over the Northeast U.S. and Maritime Canada. Image from WX Bell. 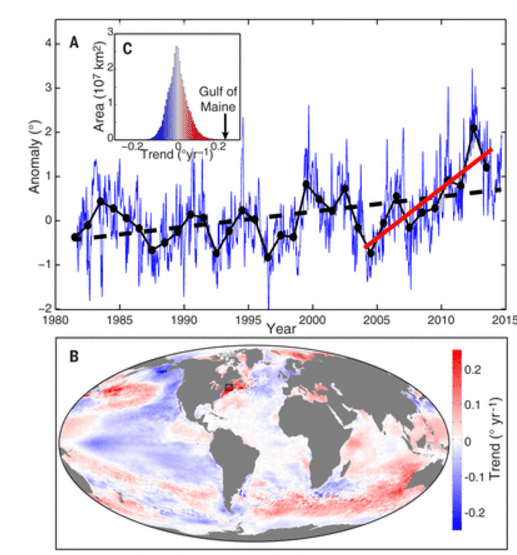 In other words – the oceans are warming up faster than the fish can take it. Image credits: Pershling et al, 2015. The entire deep red patch you see on the East Coast of the US is extremely worrying, but the Bering Sea in Europe and the South Pacific aren’t doing much better. Of course, we don’t have as many fisheries in the south Pacific so we don’t know the environmental situation as good, but the odds are populations are collapsing there also. He anticipated that we’ll start seeing the effects of global warming in the early 21st century… and he got that right!